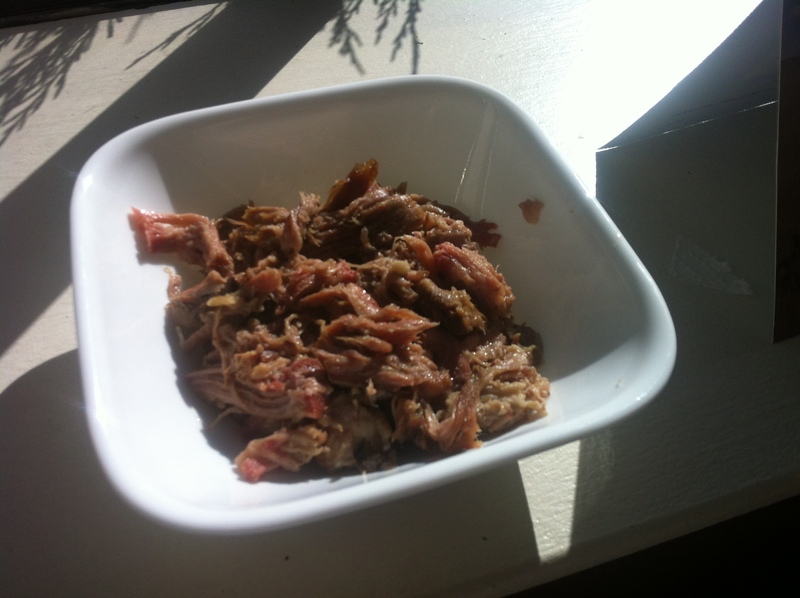 Paleo Slow Cooker Kahlua Pulled Pork. I have an amazing co-worker who brings me delicious Paleo food on a semi regular basis (and also has a blog!). She introduced me to this delicious and incredibly simple recipe from NomNomPaleo. It is so easy that at 10:23pm I realized I had forgotten to make it, but by 10;30 I was in bed and it was cooking away in the crock pot. Now that is the type of mid-week recipe I like. That is literally all you need. It sounds like it wouldn’t be flavorfull, but trust me it took some self restraint to not each a lb of it as soon as it was done. 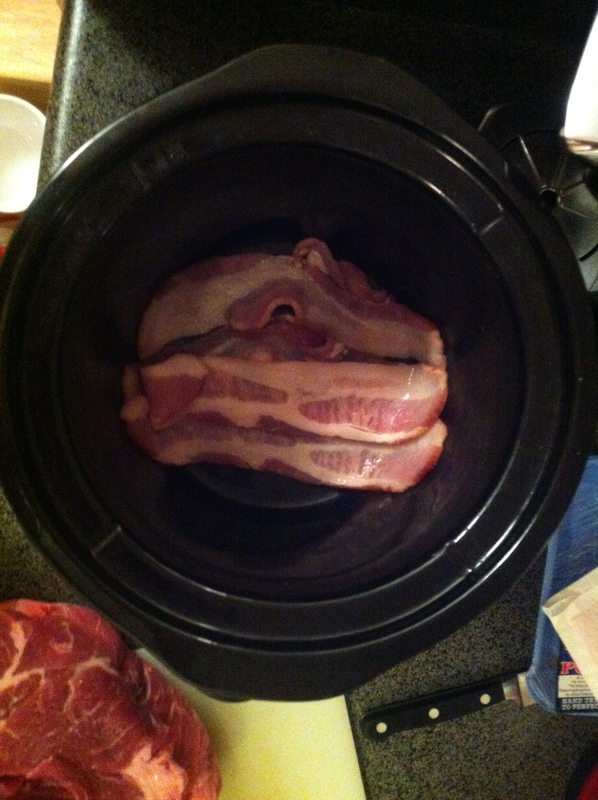 First, line the crockpot with the bacon. Then, stuff the garlic cloves into the folds of the meat, wherever you can fit them. Place the pork into the slow cooker and cook on low for about 12 hours, or until soft and thoroughly cooked. Mine was only 3lbs and I let it cook for only 9 hours and it was fine. 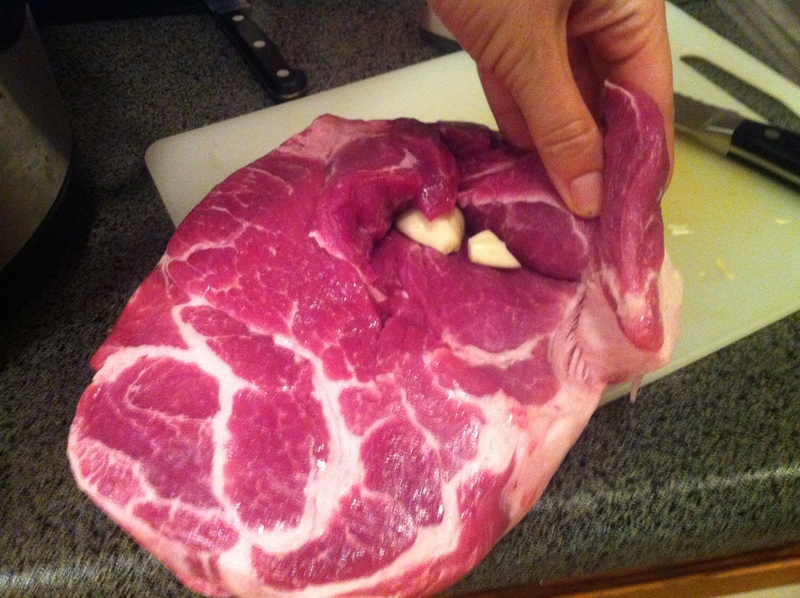 The fat will melt off of the bacon and the pork, making it soft and tender when it’s done. Absolutely amazing. It will make you feel like you are at a BBQ in Hawaii. Also, unrelated. you HAVE to watch this commercial. I am obsessed. If you don’t like it, we are no longer friends. It makes the song Applause by Lady GaGa a hundred times better. This entry was posted in Uncategorized and tagged clean eating, cross fit, diet, Healthy, Paleo by fionaboger. Bookmark the permalink.